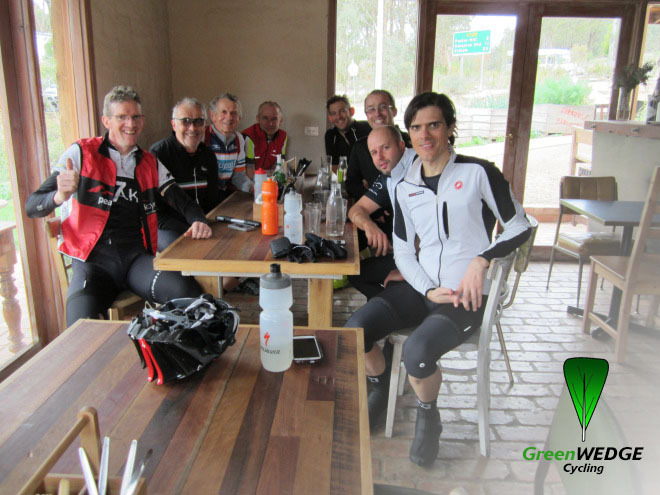 GreenWEDGE Cycling is for cyclists in or who want to do the Nillumbik and surrounding areas who do the occasional social ride in the area. We log our rides on Strava and have a Strava Club, if you’re on Strava you can join up. We do a monthly social ride with coffee/brunch/lunch for riders and partners alike. Drop us a line if you want to meet up or check our Upcoming Rides tab and join us at the meet up point. A monthly ride is the usual plan. Cyril can answer your questions regarding pace, etc. Hi Rowena, pace is moderate with a mix of talent. the idea is that this is a ride to enjoy and no drop, climb at your own pace and then regroup at the top. You would need to feel comfortable completing a t 70-80km ride with climbs. There will be coffee, next ride this Saturday.